The Memorial Candle Program has been designed to help offset the costs associated with the hosting this Tribute Website in perpetuity. Through the lighting of a memorial candle, your thoughtful gesture will be recorded in the Book of Memories and the proceeds will go directly towards helping ensure that the family and friends of Brad Haun can continue to memorialize, re-visit, interact with each other and enhance this tribute for future generations. Brad G. Haun, age 56, passed away suddenly at his home in Mesa, Arizona, on January 4th, 2018. Born in Midvale, Utah, one of five boys to Marian (Glover) and Wally Haun. Class of ’79 at Hillcrest High School and a graduate of the University of Utah with a B.S. Degree in Organizational Communications in 1984. While at the “U” Brad was proud to affiliate with the Kappa Sigma Fraternity. 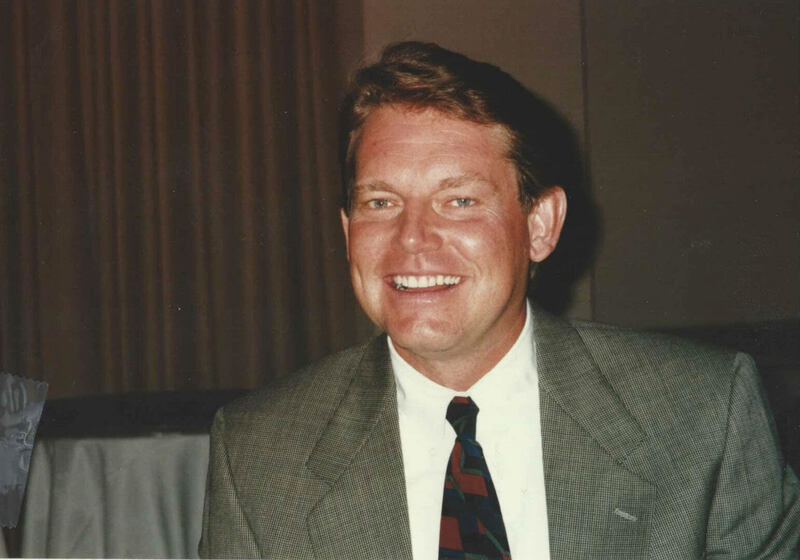 Brad left the mountains for the desert in 1985, when he moved to Arizona to pursue a successful real estate career. Always a top performer, he sold homes with Continental Homes/D.R. Horton for almost twenty years. After retiring from real estate, he spent his time as a painter and a private golf instructor. His children, Eric and Lindsay, were his pride and joy. He enjoyed spending time with his son, who was his best buddy. They went to the movies and watched sports every weekend. His daughter, the apple of his eye, has recently married, and Brad adored his new son-in-law Jake. They loved trying new restaurants, and together they shared a passion for craft breweries. Brad enjoyed entertaining his kids over home cooked meals and couldn’t wait to share new recipes with them or send them home with leftovers. Brad was a true Renaissance man and excelled at everything he did. He was a gifted artist, golfer, chef, and fisherman. He loved camping, mountain biking, skiing and hiking. He had a passion for music, gardening and was a talented landscape designer. He had an unquenchable thirst for knowledge, and he loved sharing it with others. Brad’s beautiful smile and many passions will be forever remembered in the lives of his son Eric Haun of Gilbert, AZ; daughter and son-in-law Lindsay (Haun) and Jake Bailey of Phoenix, AZ; mother and stepfather Marian and Jim Potter of Midvale, UT; mother of his children, Laurie (Fellows) Hanson; Gary Haun of Olympia, WA; Mick and Elaine Haun of San Ramon, CA; David Haun of Murray, UT; and Tony Haun of Midvale, UT. He was the favorite uncle to his niece, nephews and their children. He was truly loved by all of his friends, family, golf buddies and home buyers. He was preceeded in death by his father Wally. There will be a Celebration of Life at our home in Gilbert, AZ on February 3rd and another at the River Oaks Golf Course in Sandy, UT on his birthday March 31st. Details for both services at https://m.facebook.com/groups/322300944926311. Eric and Lindsay would love to hear from you on the Brad Haun Remembrance page where you can share memories, photos, and get more information on the memorials. In lieu of flowers, the family would like you to consider a donation in Brad’s honor to the Eric Braedon Haun Special Needs Trust. To send flowers to the family of Brad G. Haun, please visit our Heartfelt Sympathies Store.